I guess this will be the last we see of the imouto. The only way I can see her coming back is being kidnapped. I think I am reading too into the last arc and expecting everything to happen again. Considering how much screen time she has had, I think her real role will be next arc. Another one of those ancient characters that will appear in the next arc to give advice. That or be stuck as a wife of one of the characters this arc; Random forced pairing like Emily and Flint. 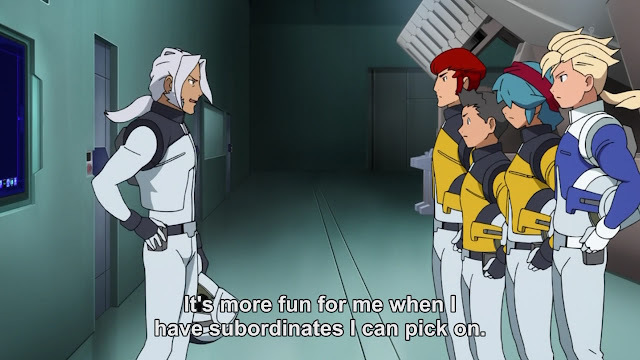 Well I finally understand why their is only one "main" gundam. 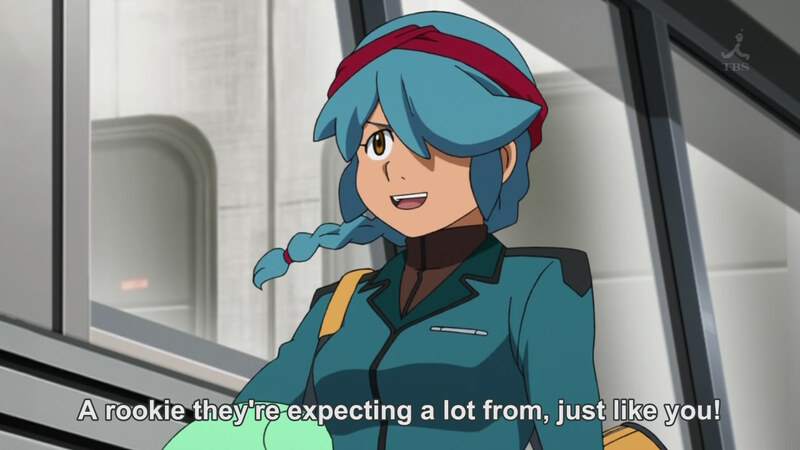 So the real key to the gundam is that remote that tracks data for the AGE system. 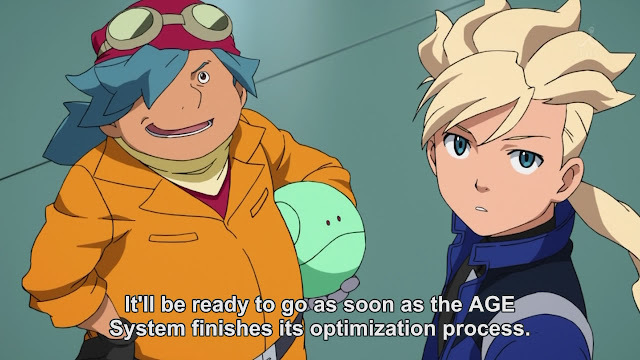 I realized when they mentioned converting the first gundam to be usable without the AGE system. So why not re-create the AGE system? Some super system that can adapt and create new weapons and systems for the battle, it seems obvious to create more of that system. 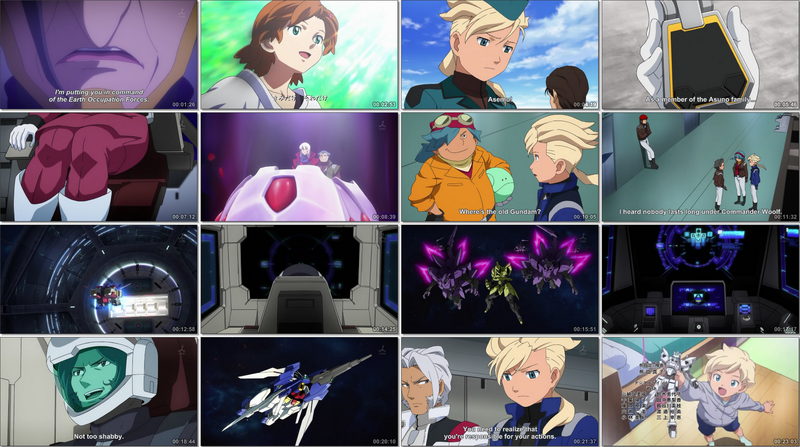 I guess that remote key thing is the real key to making the Gundam top notch. So we get our new cast of pilots for this season. I am guessing before the end, White Wolf will die and one of those 2 new characters. White Wolf will be too old for another arc so he is effectively useless after this arc. I am guessing of the 2, the taller quiet one will die. It leaves the other one to have a kid and pass on to the next arc. 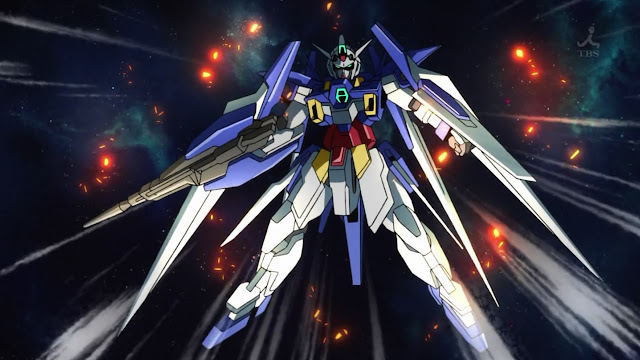 I can't tell if the new gundam has a shield or not, that small thing on the left arm seems to small to be a shield. It just looks like a hugely offense based gundam suit which suits Asemu perfectly. Asemu is just entering the scene with a bang, even shooting down 2 mobile suits in 1 shot. At least we get to see the return of Desil next episode. I wonder how they plan to have Asemu win, he hasn't even unlocked his X-rounder powers yet, or maybe this is where he unlocks it. It just seems hard to believe he can win without it, that or Asemu will be way too strong. 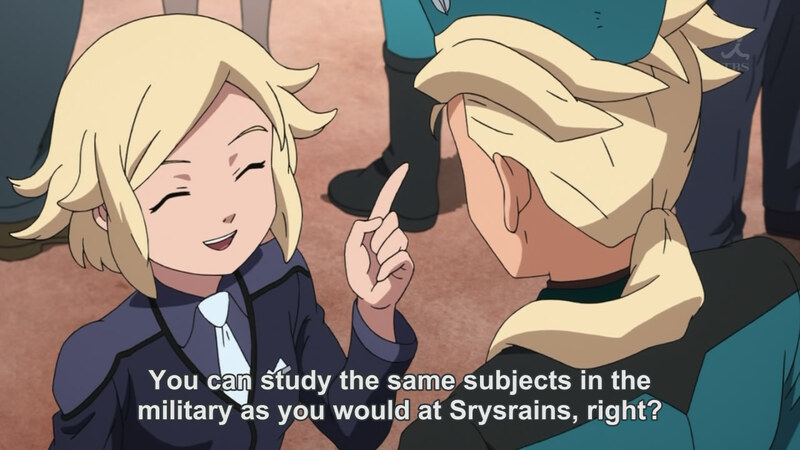 I still think Romary won't make it out of this arc alive.